Do you monitor all the financial networks and financial sites? Even these media know that most investors don’t have the attention span for deep, thorough analysis. So they keep it simple. They talk about the Dow… they talk about the S&P 500. So you’re trained to use the broad indexes to decide whether it’s a good or bad time invest. Fact: broad indexes are inaccurate reads of the whole market. The Dow Jones Industrial Average is disproportionately price weighted... and it’s based on only 30 stocks! The S&P 500 is a tiny bit clearer picture of the market. But again, it’s flawed. It’s based on 500 stocks, not 30. But the biggest 50 stocks make up half the weight -- and contribute to half the index's movement. Tracking the S&P 500 doesn't give you a fair picture of the market either. 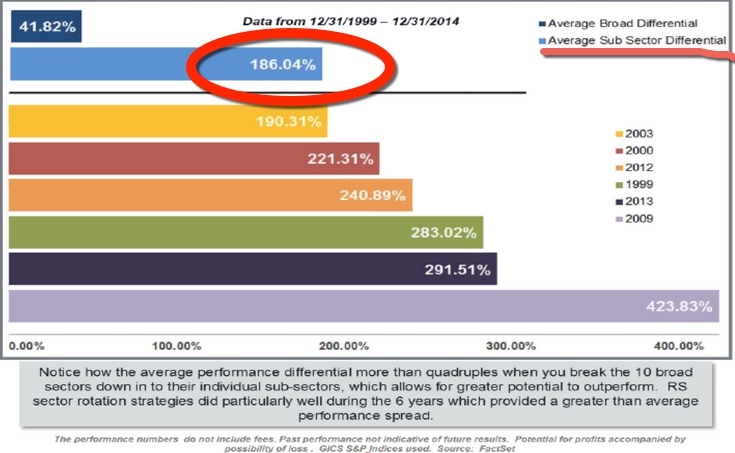 Instead of focusing on the major market averages, where should you focus? The answer to that question is easy: On specific sectors. While the broad market averages chug along – a bit higher here, a bit lower there – some individual sectors are going WAY up or WAY down. 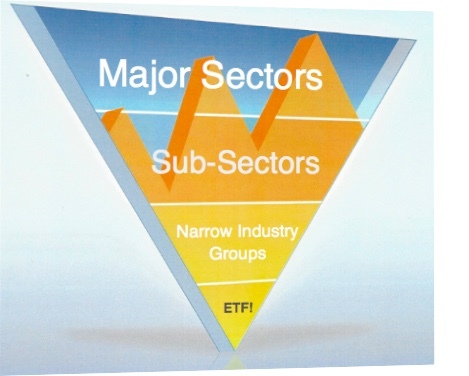 … is what are the right sectors to be in? A study by Dorsey Wright and Associates revealed that, for the 15-year period ending in 2014, the average differential between the best and worst performing "Major Sectors" was 41.82%. When we dig deeper into the sub-sectors, the average difference between biggest winner and losers was 186.04%. Think about the consequences of being in the best or the worst sector – what it could mean for your retirement… your children’s college fund. How do I know which one is which? That’s where Sector Focus comes in. My money management method is simple:I grow wealth by avoiding the bad apples and identifying the pockets of strength. I focus on opportunities by going way beyond the broad market averages – I identify the "Major Sectors" with the greatest strength relative to the overall market (sectors that go up by more and down by less than the stock market as a whole). And, finally, I identify individual companies and ETFs with the most explosive upside. Sector Focus is the analysis and recommendation service from me, Chris Rowe. I update Members twice a month, and occasionally, when warranted by events, more often. It's the best, most condensed way I share my work identifying hot investment sectors with interested investors. Sector Focus gives you access to my market analysis and investment recommendations. Sector Focus is the stripped-down, just-do-it service. We have more comprehensive and costly services that reduce the time it takes the investor to execute. But Sector Focus works just as well if you’re diligent. I offer Sector Focus service for less than $1.00-a-day with a risk-free 30-day money back - right here. 30-day money back guarantee – no questions asked - in case you decide it’s not for you. Please call 855.822.0269 for more information.